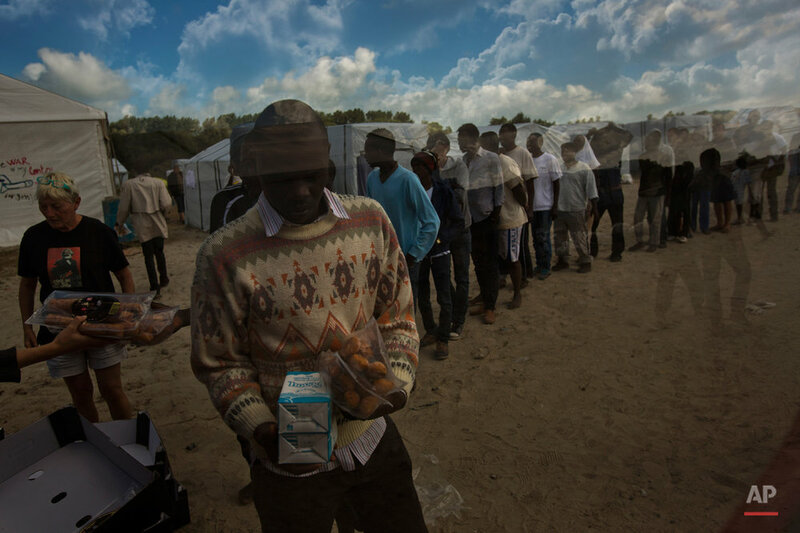 After fleeing their homes in places like Sudan and Afghanistan, migrants gathered in the northern French port city of Calais endure another kind of misery in a huge and squalid makeshift camp or in scattered open-air outposts. Each night, they try to finish the final 31 miles (50 kilometers) of their journey by sneaking across the English Channel to settle in Britain. The main "jungle," as the camps are known, is a wind-swept stretch of scrubland surrounded by sand dunes where they take shelter under small tents or tarp held up with sticks. Amenities are almost non-existent. 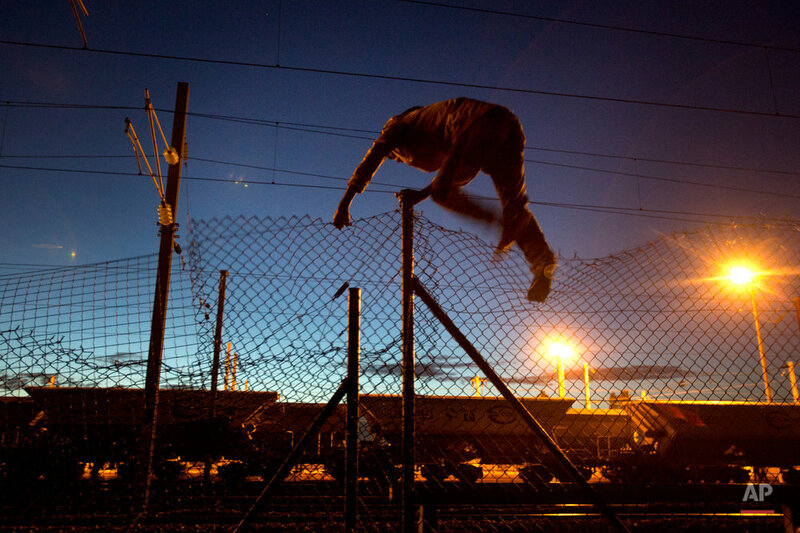 At dusk, migrants converge in fields or on highways in a bid to sneak through Eurotunnel's security net, cutting holes in fences, or climbing over them, and trying to outsmart security forces. Like shadows, they walk train tracks leading to the mouth of the tunnel. "We plan like soldiers," said Khan Tarakhil, who came from Afghanistan. But in the end, he says, "it's all about luck." Here is a gallery of images by Emilio Morenatti, chief photographer for The Associated Press in Spain and Portugal, recounting migrants' lives in Calais. 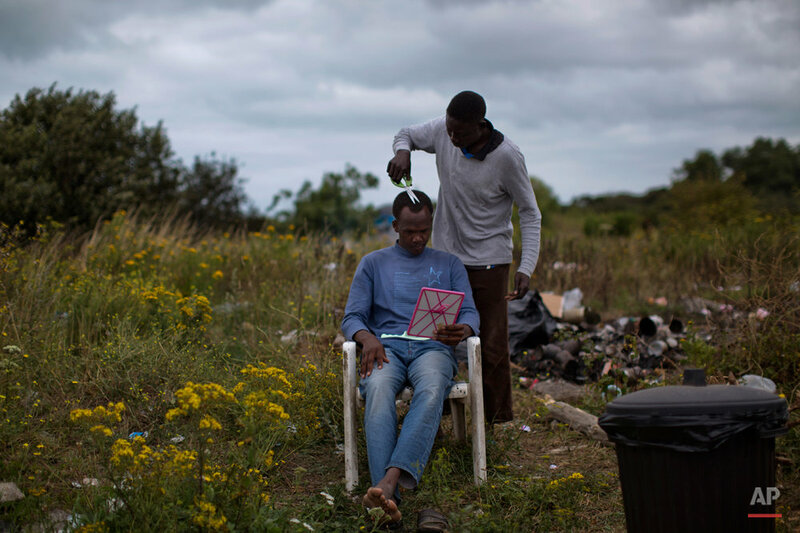 Text from the AP news story, AP Photos: Calais migrants endure misery of 'jungle' camps.